Military prosecutor to declare that terrorist who murdered soldier Ronen Lubarsky will be indicted for murder in coming days. A prosecutor’s statement will be filed today, Thursday, against Islam Naji, the terrorist who murdered the former IDF sergeant Ronen Lubarsky. Sgt. 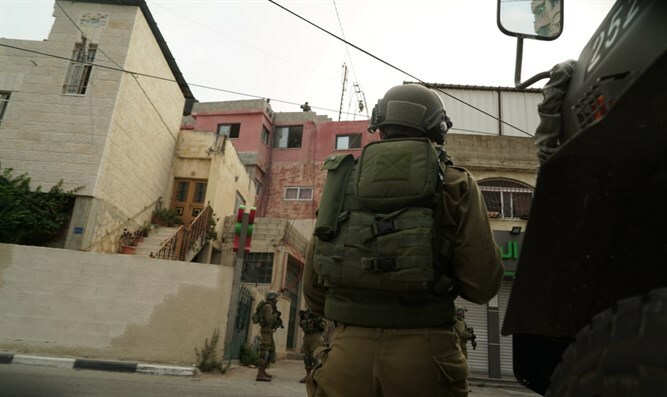 Lubarsky was killed by a block thrown by the terrorist on his head during an operation of the Duvdevan unit to arrest a terror cell on May 24, 2018. The military prosecution will declare that an indictment will be filed against the terrorist in the next few days for the offense of intentional manslaughter (equivalent to murder) and will request that his detention be extended accordingly. The terrorist was arrested by the Duvdevan fighters a few weeks ago and admitted in his interrogation that he caused the death of Lubarsky, and reenacted the incident. The murderer was imprisoned between 2004 and 2009 for extensive Hamas activity, including a shooting attack. The brothers of Islam are Hamas terrorists, who in the past carried out a variety of attacks in which Israelis were murdered, including Shin Bet coordinator Noam Cohen.